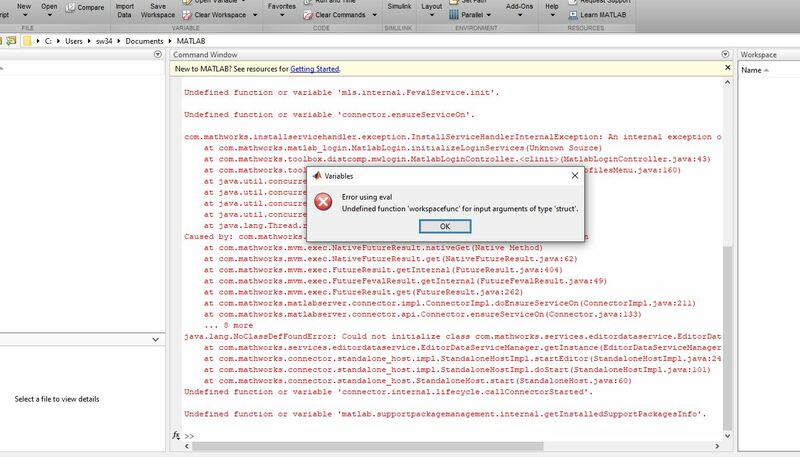 "Error using eval. Undefined function ‘workspacefunc’ for input arguments of type ‘struct’. if that is CVX 3.0BETA, which has a lot of bugs, please try CVX 2.1. If it is CVX 2.1, I have no idea what you need to do.